Spring has finally sprung and my now 1 year old Colby, got to stroll around this past Spring break in a Mia Moda Stroller. This stroller is one of the brands from The DOM Family, who also just launched a stunning new brand of affordable luxury baby furniture called Evolur. 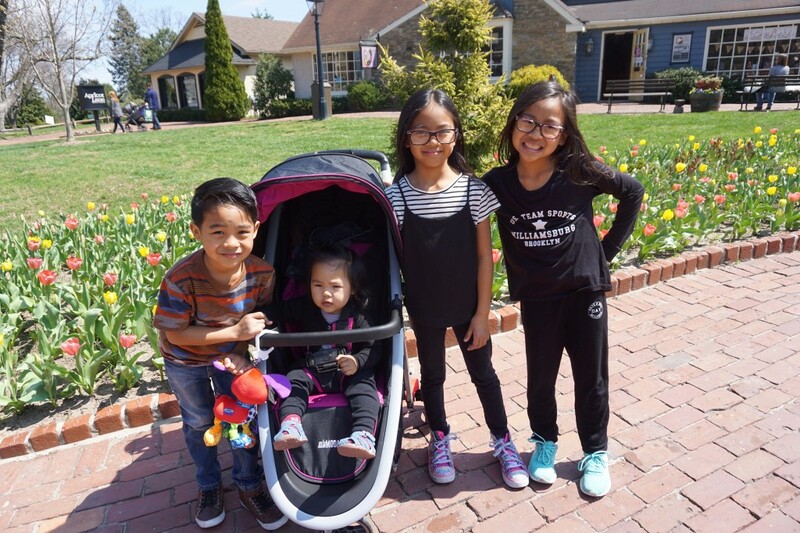 During my kids Spring break, we took a mini roadtrip to Bucks County, PA and finally took Colby’s new “ride” for a spin. The day prior to our trip, I unboxed the surprisingly lightweight package and assembly was a breeze. I didn’t even see the instructions in the bottom undercarriage and it literally took me 2 minutes, a few clicks, WITHOUT TOOLS!!! Once assembly was complete, I easily opened the stroller to lock in place and tested the closure of the stroller which was just as easy as opening it. I adjusted the belt straps with Colby in it so it was ready to go for our trip! 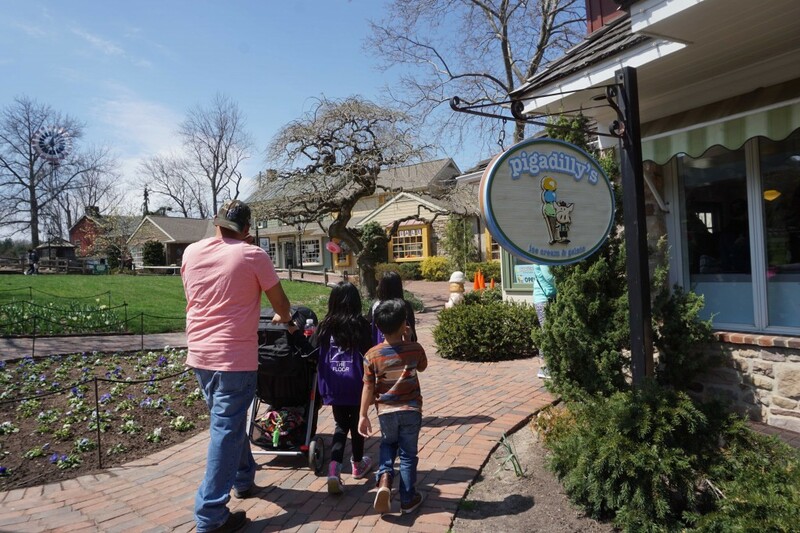 As a mom of 4, I have been through many MANY strollers and one of my main concerns when shopping for a new stroller, is how it fits into my vehicle. This particular weekend we were testing out a midsize SUV vehicle, as opposed to our large SUV and with our weekend baggages. The stroller fit perfectly into the vehicles trunk with our bags and a medium sized cooler! 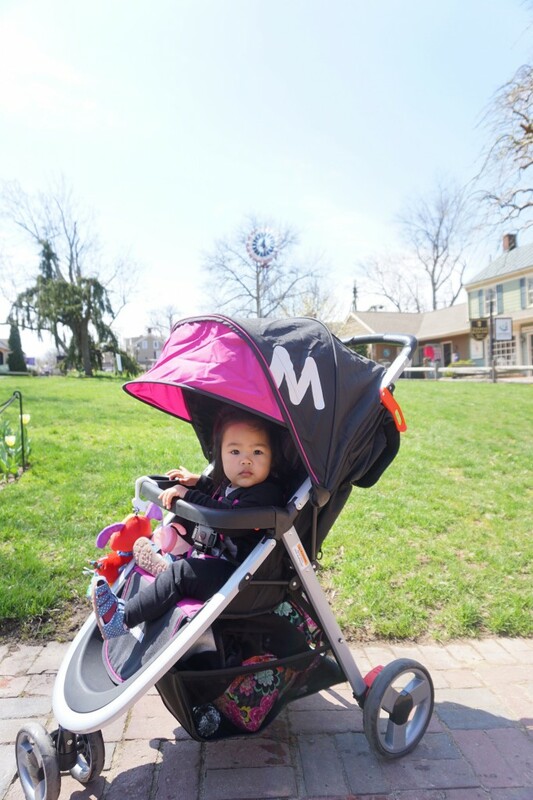 Throughout the weekend, my husband and I both loved the ease of using the stroller especially because it was lightweight yet sturdy at only 14.5 lbs! Handled turns and hills during our walks through the town and museums. My older kids even enjoyed pushing their baby sister around. 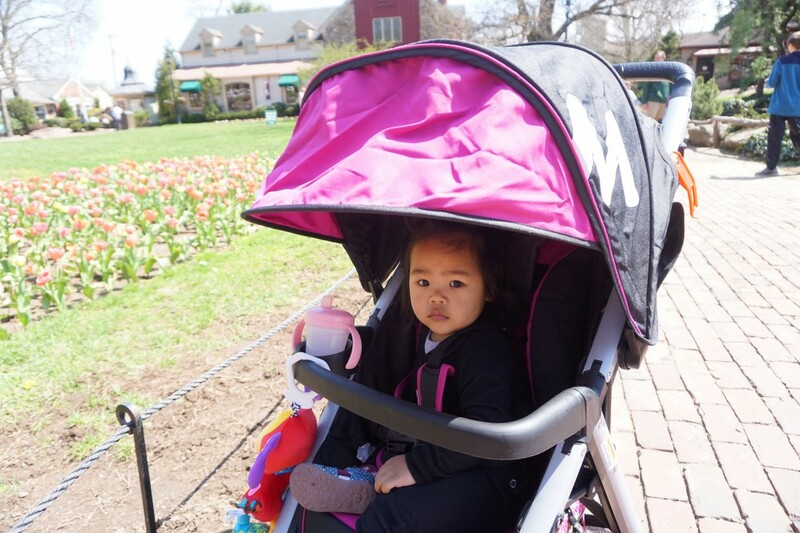 Perks of the stroller are the large undercarriage that fit our baby bag, my girls american girl dolls and lightweight jackets, plus the extended canopy was perfect for shielding baby from the sun or from rain. Design wise, the Mia Moda is stylish and sleek. And I personally found the pink and black combo to be eye catching. The only downside for me was that I wish there was a small tray next to the front cup holder so that we could put small snacks for baby to munch on during long walks. However, on the upside there was an additional cup holder for me next to the handle bar…perfect for holding Mom’s lifeline of “coffee”! 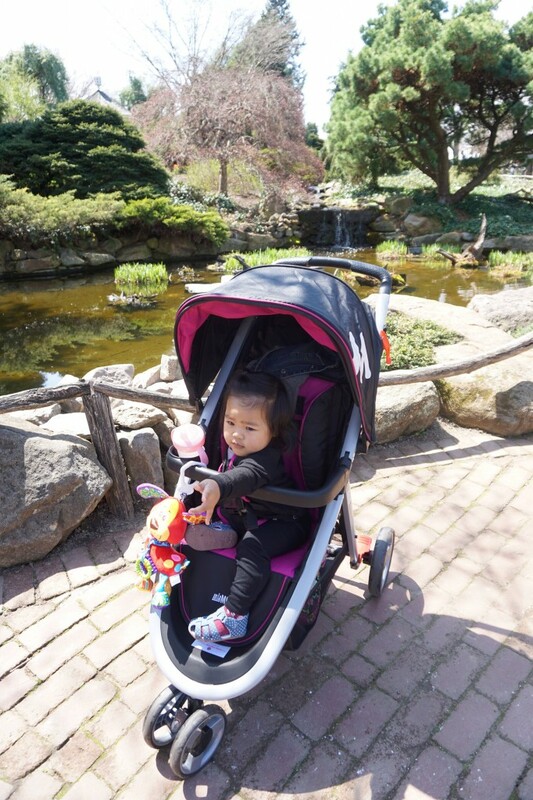 Overall, this stroller was amazing and the price point even more ideal for the budget conscious mom like me!